It was an accident that could have easily been avoided but well, mistakes and miscalculations do happen. 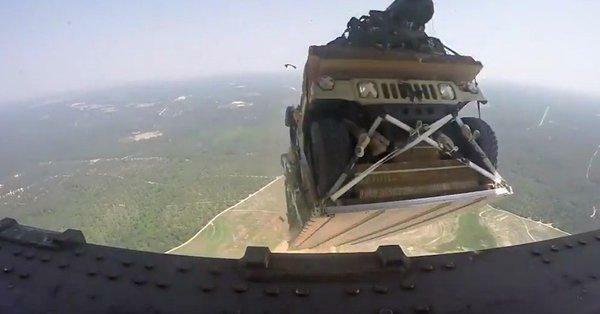 A Humvee vehicle was prematurely dropped from an Air Force C-17 into a wooden rural area outside of Fort Bragg, North Carolina around 1 p.m. on Wednesday during testing. The vehicle landed more than seven miles north of the intended drop zone. The incident is now under review and Burns stressed that the Humvee’s parachute did open as intended. The C-17 flew out of Charleston Air Force Base. Burns also shared that it is routine practice for Army to test new equipment and procedures to support the aerial delivery and transportation of military equipment. The Air Force stated, too, that the C-17 happens to be “the most flexible cargo aircraft to enter the airlift force.” It is utilized to transport troops and all types of cargo while they are in the process of performing tactical airlift and to also carry out airdrop missions. C-17 is capable, too, of transporting litters and ambulatory patients during aeromedical evacuations. Social media users also give their reactions to the incident, some showing concern, others making light of the incident. Lived just outside the base on Yakin Rd. Lake Valley. Something always interesting happening. It shall be put to good use!